Of all the points of parallel relevance the past has with modern society, there are sometimes moments when historical parallels between past and present collide. This nexus isn’t always clear or easy to acknowledge. The past may be misappropriated and misrepresented; hyped up to buttress a political agenda. Key players manipulate the material in order to provoke a response, carefully steering reactions in a particular direction for political gain. Throughout history the Christian Church has come up against this, battling forces within and without. Along the halls of Church History can be found the graffiti of false prophets, corrupt leaders, anti-Christs, and, the more surreptitious, pseudo-christs. There have, for example, been a number of notorious examples of cults, false prophecies and dates given asserted to be the exact return of Jesus Christ and the end of days. Like freedom, truth has to be fought for. Like freedom, the greatest threat to truth is the corruption of it. One of the great positives of Niccolo Machiavelli’s The Prince, is that he provides an insight into the secularized church mindset. The, politically necessary fake-it-to-maintain-it, surface only profession of, in Machiavelli’s context, faith in Jesus Christ in order to maintain status, power, control and influence over the people. Social media provides the most poignant example of where a nexus between past and present exists. Just as Machiavelli, half mockingly describes politicians and the socio-political mix of his time, for a good majority, appearance is placed over substance. Seeming to be something, or be doing something is part of the rule of the day. Today, it’s correct, politically incorrect, label is “virtue signalling”. The nexus isn’t easy to see because it’s feared. Learning from the past empowers responsible action in the present. When allowed to speak freely, the truth of the past secures the future. Either the truth of the nexus is too close for comfort, or what confronts us isn’t in line with political narratives that shape, and seek to shape, the way people think, act and speak. Ideas that are deified, demanding an absolute pledge of allegiance to those, who by blurred distinctions, coerce the surrender of tried and trusted systems that ensure basic civic freedoms. Those who bind truth to lies with threats to deny those civic freedoms under the guise of treason. God’s Word as law, given in grace is supplanted. Man’s word as law, given to enslave, is enthroned. Chiseled into existence with the arrogant proclamation, “God is dead”. This jubilant euphoria at man triumphant; God conquered, is, however, short lived. The great evil committed in the Garden, now cemented in the creeds of an incorporated and thought-to-be newfound lordlessness. The regression towards a pre-Christ primal atheism strikes a devastating blow against humanity.Those this side of all of histories examples, say with lament, “man is dead”. ‘no longer able so unambiguously to distinguish the light of Lucifer from the light of God […] Humankind has got what it wants; it has become creator, source of life, fountain head of the knowledge of good and evil […] it is the lord of its own world.’ [ii]. This was the case in Germany throughout the 1930’s: “To the good Nazi not even God stands before Hitler” [iii] Humanity becomes the source of good and evil; ‘living out of it’s own resources'[iv] in a rejection of God’s grace. The fickle motion of whim, feeling, and lust, combined with a reasoned insanity. Humanity strikes a devastating blow against itself. Examples of this can be seen in how some modern proponents utilize Religion or ideology to justify their rejection of God’s Lordship in Jesus Christ. Via claims to superior, “inside” knowledge or the Darwinian excuse that the strong determine the treatment (mistreatment) of the weak. In the progressive quest to work for God, or alternatively ignore God, we find elements which seek emancipation from God. Consequently, the biblical promise of a ‘newness of life’ (Romans 6:4) is replaced with a mystical fog or a reason induced cold pragmatism. Most often affirmed by an esoteric elitism who, hiding behind entitlement, choice, nature and good intentions, hypocritically end up forcing a tyrannical ‘denial of life’ upon humanity. Ultimately, the charade is found wanting and sinful humanity is once again reminded of its tendency to parade darkness behind a veil of light. No matter how hard we try, we cannot apprehend that which can only be given to us. Humanity remains unfree in the ignorance and futility of its quest to be free from the Creator, who has and still does, have a right to His creation. By enforcing His right the Creator appears as powerless. In mercy, He lowers Himself in order to raise us up. Our lack of sensitivity and response to God’s approach i.e. : our lack of ‘receptivity to revelation through gratitude and humble recognition’[vii], leads to a rejection of God and His freedom. Arrested four times, Paul Schneider became one of the first theologians of the Confessing Church to be murdered by the Nazis, and the first protestant pastor to die in a Nazi concentration camp. In a nut shell, Schneider was labelled a firebrand. Like a lot of the Confessing Church Pastors and theologians, his theological resistance was “politically incorrect”. As a result the ‘terror state would forbid him to preach, and attempt to silence his opposition by enforcing a form of exile’[ii]. Schneider was later arrested and imprisoned. On a January morning in 1939 in the concentration camp of Buchenwald, two beleaguered prisoners who had attempted to escape were brought into the parade grounds of the camp. There they were mercilessly executed. As the bodies of the two prisoners went limp, a voice rang out across the camp from the window of the punishment cell. Along with Schneider’s outspoken preaching in prison, his theologically informed political defiance permeated his sermons. ‘…His face is flushed, his cheeks aglow, till a sinful challenge to God resounds. But scarce the awful word was said, the King was stricken with secret dread. 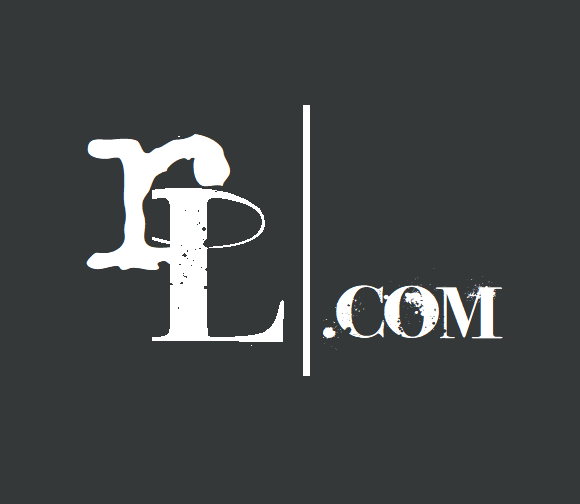 The raucous laughter silent falls, it is suddenly still in the echoing halls. As if on the wall’s white space, a human hand began to trace. The King sat still, with staring gaze, his knees were water, ashen his face. Fear chilled the vassals to the bone, fixed they sat and gave no tone. Wise men came, but none was equipped, to read the sense of the fiery script. Heard as they must be heard, Schneider joins the chorus of voices who cry out to us today against complacency, indifference, arrogance, and the unwillingness to face the danger posed by those who seek to be our ideological masters. Dangers that we, in the West, as a multi-ethnic community, can still face up to together, or continue to ignore. The danger of continued indifference, though, may lead us to a place where we are bound together under those ideologies and their yoke of slavery. Each poignantly targeted at us today, Schneider’s words and example, are yet another loud theological indictment on the lifelessness of ideological servitude. [iv] Given the content, what he means here is a view of freedom without responsibility; power without accountability; denial of the transcendent. 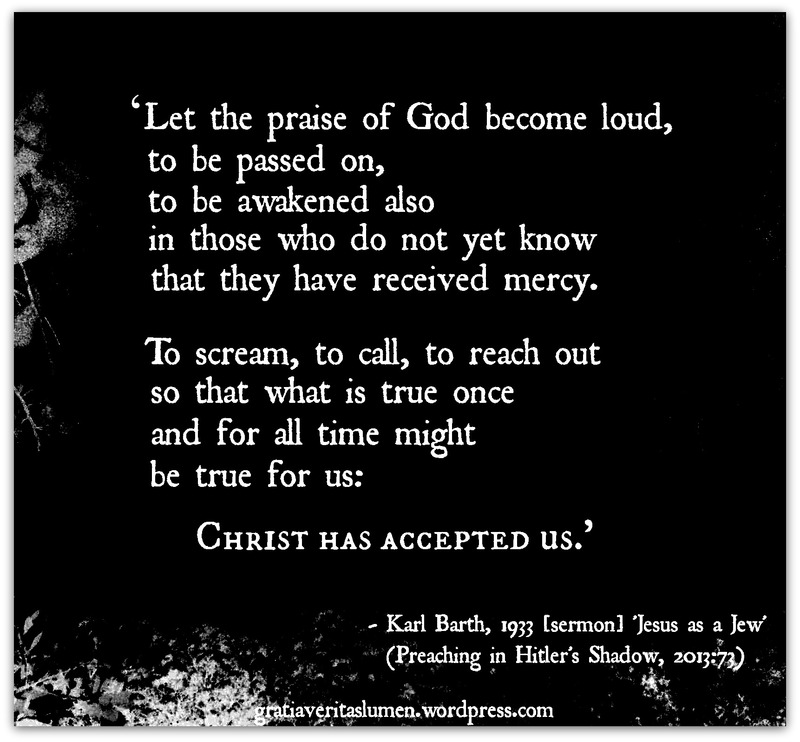 In the footnotes of his segment on Karl Barth, Dean Stroud comments that the first part of the quote pictured to the left, is ‘one of Barth’s great sentences – to be read slowly and enjoyed greatly’[i]. I agree with this, although it is not complete without the second part – which I’ve added from the text. There Barth is talking about what it means to understand that God’s permission to pray is also an invitation to exercise our new freedom in Christ. That is as responsive sinners called to pray, we are called to take part in what Eberhard Busch rightly calls the ‘first act of Christian ethics’[ii]. The theme of prayer as an expression of freedom in Christ, comes alive in light of the context. What grabbed me, reading this for the first time today, is the connection Barth identifies between prayer, praise, discernment and confession. ‘Our text tells us simply to pray for the church that it become a church of discernment and confession. If only we then would once again pray for this unanimously! What does it mean then to pray? To scream, to call, to reach out so that what is true once and for all time might be true for us: Christ has accepted us. Ecclesiastical discernment and ecclesiastical confession would indeed follow such a prayer, if earnestly offered, as thunder follows lightning. In the mutual accepting of each other as Christ has accepted us, it must follow that in the church of Jesus Christ all joylessness is on the way to becoming joy, all discord is at least on its way to becoming peace, all distress of the present moment would somehow finally be engulfed by the hope for the Lord’s presence. …The thoughts of many people are occupied in this particular time more seriously than before with what it is that the church misses and what we miss in the church. Let us note that our text does not speak about this, but rather where it could speak of such things, simply prays and tells us to pray to this God of patience, of comfort, and of hope, who is the Lord of the church. Its form and content, as far as sermons go are standard Barth. In addition, considering its close proximity to the Barmen Declaration (May, 1934) of which Barth was a primary contributor, it is fair to say that the events are connected to some degree.